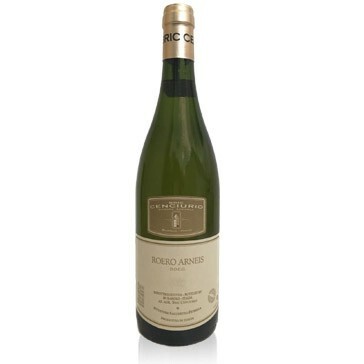 Appellation or Vine Roero Arneis D.O.C.G. 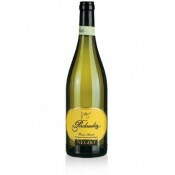 This white wine comes from a careful selection of Arneis grapes. The vineyards are located in the municipality of Castellinaldo with an East, South-east exposure and at an altitude of 220 meters above sea level. The training system is Guyot pruning. The production is about 1.5 kg of grapes per vine. There are about 4500 vines per hectare. The soil top layer rich in calcareous-siliceous formations is the main characteristic of the loose ground rich in trace elements that is great for Arneis vine. The yield per hectare is 7000 kg of grapes. The harvest period is the first 10 days of September. After the harvest the grapes get the complete ripening staying 15 days in cold storage at 0°C . Then the grapes are gently pressed and the juice obtained decanted for a few hours. After this stop the must starts the low-temperature fermentation in stainless steel tanks with the goal of getting the best aromatic expression, elegance and harmony of flavors. During the fining, always in stainless steel barrels, the fine lees are pumped over to favor yeasts transfers. The color is pale yellow. It has intense fruity and floral notes, hints of apple and exotic fruits, that in the mouth match a good body, persistence and balance. 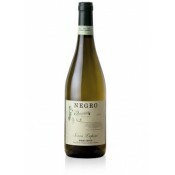 Excellent as an aperitif, with appetizers and pasta dishes. It should be served at 12 degrees centigrade. The perfect glass is crystal clear, smooth and colorless. The bottles should be stored horizontally in cool, humid and dark place.